Every hiker deserves a good hiking partner. When the going gets tough, the task of crushing miles on a day of constant down pours becomes less of a burden if you have a friend to share it with. Even when the going is good, sometimes just having someone there to share in the glory of the moment seems to make it all the more real. That’s why we have dogs! When Squarl and Holly left for their thru hike of the Continental Divide Trail, they left Lambeau, their pup, behind because the CDT is not nearly as dog friendly as the AT. Lambeau has since become our favorite hiking partner. 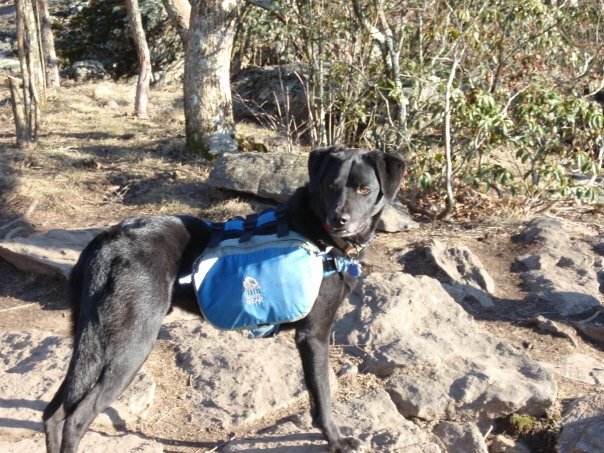 Dogs make excellent hiking companions and the Appalachian Trail is a great place for hiking with your furry friends if you follow some basic guidelines! Not all dogs are cut out to be trail dogs. While they are animals and are capable of more than we give them credit for, it is unfair to drag along young puppies, older dogs or very small dogs who are not cut out for the trail life. A dog with longer legs will enjoy itself much more than a dog of small stature. This is Corbin. He is an excellent size for hiking! It is very important that you have a strong command over your dog if you are going to be taking it out into the wilderness. It must be quick to respond to you and very amicable with other dogs, animals, people and children. Lambeau is excellent at taking commands from almost any human. 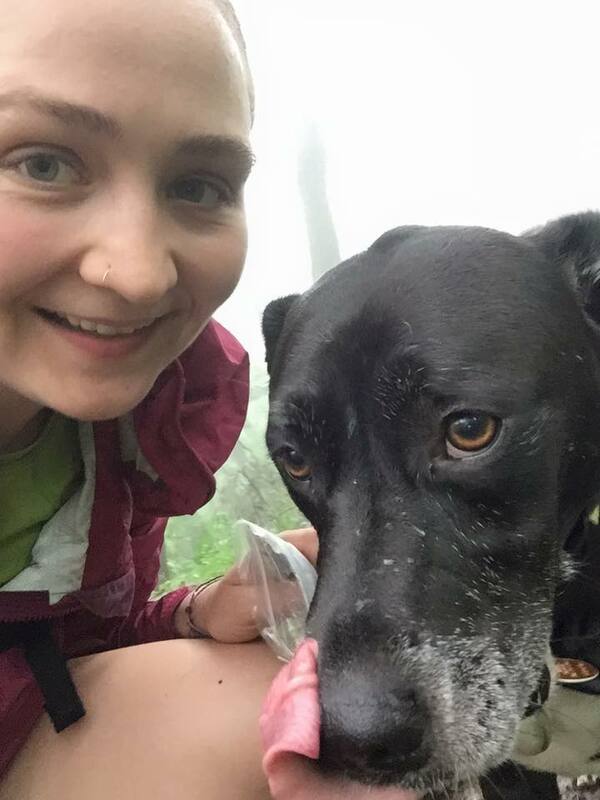 Despite the fact that she is not his owner, Rachel was able to take Lambeau backpacking because she trusts he will listen to her. Make sure you have everything your dog needs because it is relying on you to pack its bags and check them twice. A doggy backpack is an excellent way to have your pup carry its own fair share of the weight, but don’t over load them. Often having them carry just their own food is enough to keep your own pack weight down. Make sure that their pack is properly fitted and that they are comfortable wearing it before you set out for your trek. Besides bringing enough food for a workin’ dog, they also need a water bowl and water, a collar and leash, their own sleeping pad and blanket or sleeping bag and a doggy jacket if it is cooler weather. A mother/daughter duo pick up their resupply box and you know there is some dog food in there! When you hike with another person, they’ve got no qualms about letting you know how they feel. The great thing about a hiking partner is that they’re stuck with you even when you’re complaining. But a dog doesn’t have the luxury of speaking their mind. It is important to anticipate their needs before problems arise. Check your dog’s feet daily to make sure there are no lacerations or wounds. Rest often if your dog is not in the best shape or if it is hot out. Make sure to carry enough food for the journey and consider them when you are collecting up water for the day. If you are long distance hiking with your dog, be careful to watch their weight as you go. 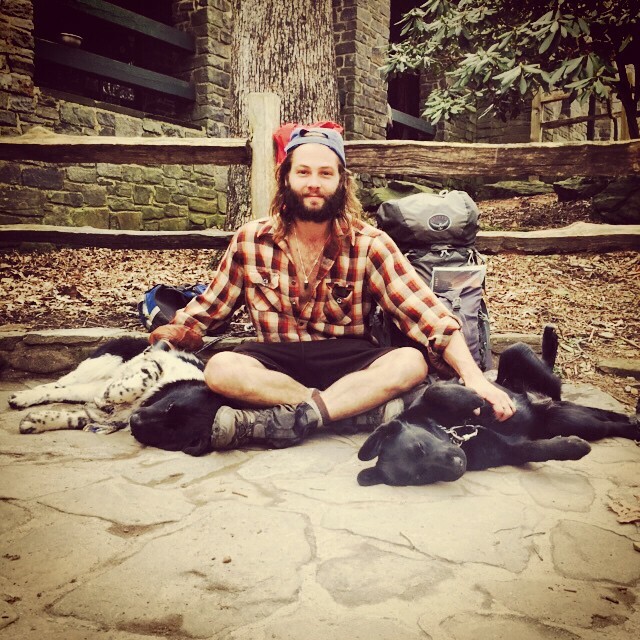 Thru Hiker Hotwing is out with his two pups, Bacon and Wylie! Its not their first rodeo. Dig deeper into techniques for long distance hiking with dogs. There are all sorts of books out there and articles online. 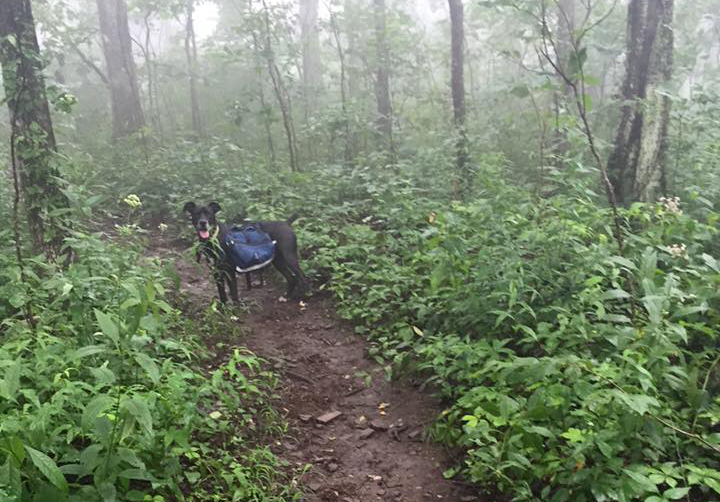 Check out this comprehensive article on Appalachian Trails about hiking with dogs. Also consider starting with day hikes to see how your pup takes to the trail. 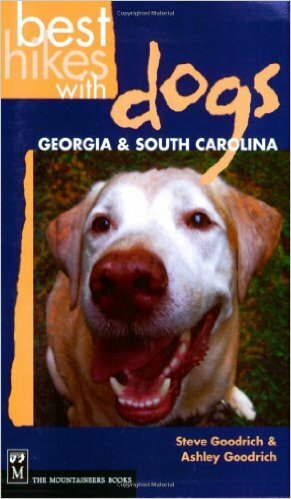 Look into this book for good day hikes for dogs in our area. 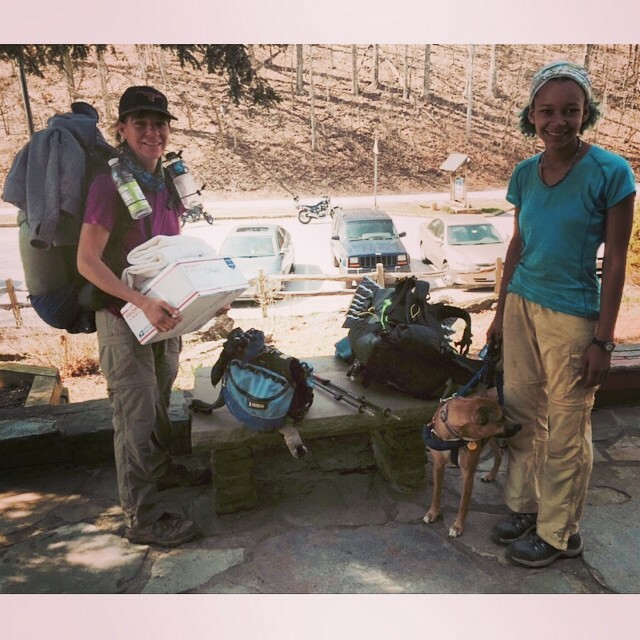 This entry was tagged appalachian Trail, backpacking, Dog, Dog Pack, Dogs, hiking, mountain crossings, Neel Gap, Resources, Tips. Bookmark the permalink.